The Uhlsport Rollfinger Goalkeeper Gloves have advanced cushioning, support frame and outstanding grip under all weather conditions. These Uhlsport Rollfinger Goalkeeper Gloves have an embossed latex and a half negative cut with new a thumb wrap that grants a maximized catching area and tight fit. The Uhlsport Rollfinger Goalkeeper Gloves have advanced cushioning, support frame and outstanding grip under all weather conditions. These Uhlsport Rollfinger Goalkeeper Gloves have an embossed latex and a half negative cut with new a thumb wrap that grants a maximized catching area and tight fit. 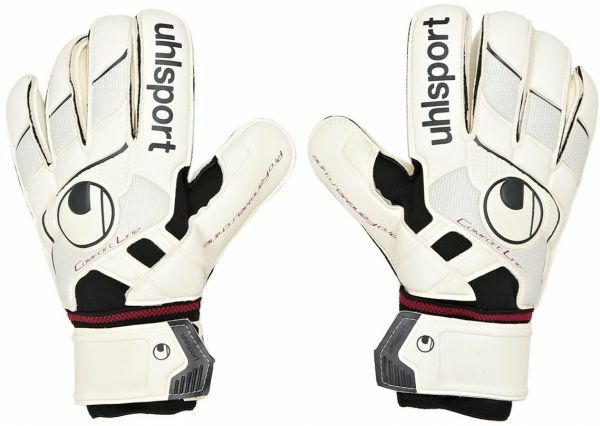 These Uhlsport Goalkeeper Gloves have a comfortable textile body for the best breathability and wearing comfort as well as a wrap around latex strap.